Popular attractions in Athens Greece include Syndagma Square, the Greek Parliament, National Garden, Zappeion and Areopagus Rock. 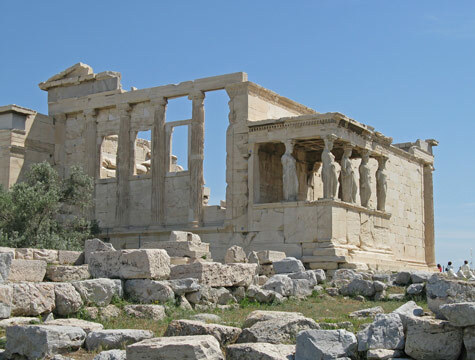 The most popular museums in Athens include the Acropolis Museum, the Byzantine Museum and the National Archaeological Museum. Overview of the Propylaia, Parthenon, Erectheion, Caryatids, Athena Nike, Odeum of Herodes and the Dionysos Theatre. Famous sculptures in Athens are: Poseidon, Little Jockey, Greek Athlete, Sleeping Women, Statue of Nike, Emperor Augustus and the Woodchopper. Overview of airl, rail, metro, bus and ferry services in Athens Greece. Hotels by district in Athens Greece: near international airport, city centre hotels and ferry terminal.